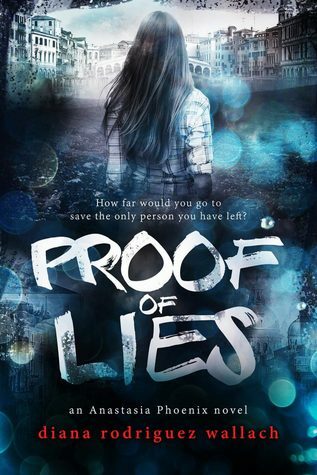 Synopsis (Goodreads): The Italian Job meets Bourne Identity meets Spy Kids in this sequel to Proof of Lies. What if saving yourself meant destroying everyone you love? Still reeling from everything she learned while searching for her sister in Italy, Anastasia Phoenix is ready to call it quits with spies. Then she and her friends learn that Marcus’s—her kinda boyfriend—brother, Antonio, has also gone missing. Luckily, they track down Antonio in a fiery festival in England, only to learn he has been working for the enemy, Department D, the whole time. But Antonio wants out. And so does Anastasia. But before any of them can leave espionage and their parents’ crimes behind them, a close friend turns up dead. No one is safe, not while Department D still exists. So Anastasia and her friends embark on a dangerous plan to bring down an entire criminal empire, using every Dresden Kid they can find. Lies that Bind is the second book in the Anastasia Phoenix series, I thoroughly enjoyed the excitement of the first book Proof of Lies so I was most eager to start on this. This is a series that really should be read in order to fully understand the events that have already taken place, enough of a recap is given but it may still be quite confusing. After trekking all over the place in the first book in search of Anastasia’s sister Keira and having a danger-filled and thrilling adventure; Anastasia is now staying in London with friends when they find out Marcus’s brother Antonio has gone missing. Now determined to take down Department D and locate other Dresden kids, they set out to collect enough evidence to shut them down once and for all. I was impressed by the world-building and the intense plot is fast paced and full of non-stop action although it did very much mimic the first book; as with Proof of Lies I couldn’t quite guess who could and couldn’t be trusted! It really was a search for the truth throughout the whole book and many secrets were exposed. Lies that Bind was an exciting sequel! It was mysterious, filled with wonderful characters that progressed throughout the book and the ending that leaves you satisfied but also wanting more. This book seemed to have more angst and drama than the first book which made me quite edgy. What frustrated me in the first book was the hot and cold relationship between Marcus and Anastasia so I am pleased to see some progression. They worked well together and I thoroughly enjoyed their interactions. I found Diana Rodriguez Wallach’s writing to be engaging and the storyline was exciting; I am definitely eager to read more books by this author. 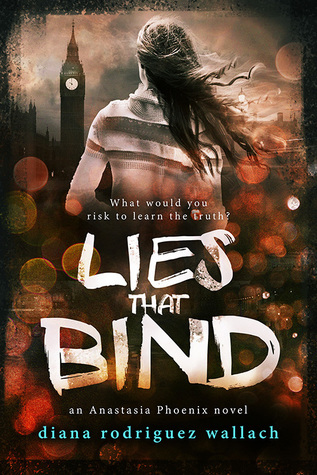 Thank you to Entangled Teen via Netgalley for the opportunity to read and review Lies that Bind. About the author: Diana Rodriguez Wallach is the author of the Anastasia Phoenix series, three YA spy thrillers set to debut beginning in March 2017 (Entangled Publishing). She is also the author of three award-winning young adult novels: Amor and Summer Secrets, Amigas and School Scandals, and Adios to All The Drama (Kensington Books); as well as a YA short-story collection based on the Narcissus myth, entitled Mirror, Mirror (Buzz Books, 2013). In 2010 Diana was named one of the Top Ten New Latino Authors to Watch by LatinoStories.com, and she placed second in the International Latino Book Awards. She is an advisory board member for the Philly Spells Writing Center, and is an active advocate for inner-city public schools. She holds a B.S. in Journalism from Boston University, and currently lives in Philadelphia. 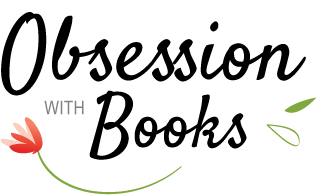 Diana is represented by Taylor Martindale Kean of Full Circle Literary. Oh this one sounds very intriguing to me. I do think you have me wanting this one and I'm adding it to my wishlist. This book is great for anyone who likes spy/espionage mixed into young adult. It had a good pacing, but I did find that I liked book one better. I still enjoyed it and wanted to know what happened. I'm looking forward to finding out how it all ends in book three.